So you say you have a slam dunk medical malpractice case? Better think again. In theory, I suppose they do exist, like unicorns and big foot, we just haven’t seen one. Plain and simple, medical malpractice cases are tough. They are one of the most expensive cases to pursue and most vigorously defended. In fact, a study of medical malpractice jury verdict outcomes determined that doctors/hospitals win 80 to 90 percent of the jury trials with weak evidence of medical negligence, approximately 70 percent of the toss up cases and a remarkable 50 percent of the cases with very strong evidence of medical negligence. Let that sink in for a moment. Even in the very best cases, with clear cut medical negligence, the physicians win 50 percent of the time. Cases, thus, have to be selected very carefully. These days we hear ever increasing complaints about the poor bedside manner of medical professionals. We are not sure why this is occurring with every increasing frequency but speculate that it may be due to the significant time pressures involved in running a medical practice. It seems that our doctors spend fewer minutes actually talking with patients and seeing far more patients daily to run a successful medical office. If you think your medical provider was “rude” or “abrupt” find a new one. Bruised or hurt feelings are not medical malpractice cases. Frequently, we receive complaints about perceived or actual disclosure of sensitive medical information. In fact, one recent caller relayed that a doctor’s office loudly asked, across a crowded waiting room, Mrs. Smith your appointment is for the herpes follow-up today? Yikes! Bad form, yes. Medical malpractice, nope. Believe it or not, in most cases there is no private cause of action for a violation of HIPAA privacy rules. Further, even if it were, to sustain a claim against a physician you would actually have to prove that the office disclosure caused you actual harm. Embarrassment is not enough. If a doctor, in error, writes a script for a wrong dosage of a medication that you are currently taking or for a wrong medication altogether, but you experience no serious or harmful side effects, it is simply a matter of no harm no foul. Was the doctor wrong, of course. However, the fact that you could have been killed or seriously harmed but weren’t doesn’t cut it in the eyes of the law. Be thankful and move on. If you suffered a serious and long lasting side effect by all means call your lawyer. P.S. * Important safety tip, always check all of your medications when you receive them. If the size, color or shape of the pill is different than you previously had, ask before taking it. It may save you. Most infection cases aren’t cases at all. It is an understood risk that any time an individual has a surgical procedure an infection can and might occur. It is often difficult, if not impossible, to trace the source of infection to a particular person, place or thing. To win an infection case you must be able to do exactly that. Otherwise you can’t prove “causation” which is a necessary element to win your infection case. One exception, however, if following surgery you experience classic signs of infection for example: significant redness, increased body temperature-fever, foul odor and/or drainage and bring those symptoms to the attention of your doctor and are “blown off” when the early onset could have been treated easily you might have the makings of one of the rare viable infection cases. If the doctors took no action when the symptoms were brought to their attention and if you experienced serious and long lasting treatment and physical symptoms that may well be a case depending on the length of delay in treatment and a few other factors. Dental malpractice cases are inherently difficult to prove for the simple reason that you went to the dentist in the first place because you were having serious issues with your dental hygiene. So it makes it difficult to quantify and differentiate between any alleged malpractice and the original complaints of symptoms and pain you had before going for treatment. Also unless you have stellar dental treatment and never missed a prophylaxis appointment (i.e., teeth cleaning every six months) the defense will blame you for your lack of proper dental care and hygiene. By the time you went for proper dental treatment the damage was already done due to your lack of care and prudence. In addition, dental malpractice cases have low value. A loss of a tooth is not worth very much. Usually the client/patient has lost teeth on prior occasions, so what is one more? Moreover, to replace a tooth is a relatively minor and, nowadays, permanent procedure that can leave the patient better looking than before. Even when the allegation is nerve damage it is a relatively insignificant annoyance of numbness of a lip or gum which, in the grand scheme of a malpractice suit, renders it economically unfeasible to proceed forward. The injury is the result of a foreign object left behind following a surgery. What we mean by a foreign object is something that was not intended to be left behind during the surgery. For example, the surgical team left a sponge, forceps or other similar object and it caused serious harm. What it doesn’t mean is something that the surgical team intended to be left inside the body such as surgical clips, stents or other medical devices for treatment purposes. The injury must have resulted in a very serious or permanent injury or death. Otherwise, the case is simply not economically viable to pursue. We want to leave our clients better off than we found them. If a case will not likley bring a suffient damages award, if successful, to cover the costs of pursuing, we will not pursue it. The injury must have occurred in the last 18 months and in New York. Yes, the NY statute of limitations for Medical malpractice is generally 2 ½ years from the date of malpractice (though shorter if a State or Municipal hospital is involved) and potentially (though under certain very limited circumstances) that could be extended by continuous treatment for the same conditition, these cases take serious time to work up properly. We need to gather all medical records and have them reviewed by an expert or multiple experts. Therefore, if your case is more than a year and a half old, we are unlikely to take it. If your case involves psychiatric care, the case possesses inherent difficulties. We think you would be better suited finding a different firm better equipped to deal with those circumstances. If your case involves damages resulting from elective cosmetic plastic surgery, it is not a case that we will likely pursue. Frankly speaking, we find that jurors have little sympathy for such cases. So, if the results of an elective breast augmentation or penile enlargement leaves you with less than the desired or perfect result, it is a case for another firm. (* Important Note: If your lawyer made a critical error that harmed your case to such a degree that it was not salvagable, such as when his errors caused the case to be dimissed due to missing the statute of limtiations, we will not intervene and try to fix the case. 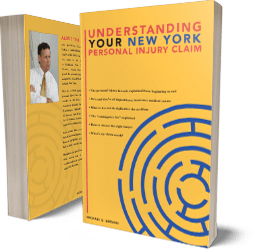 We might, however, be willing to talk to you about pursuing a potential legal malpractice claim on your behalf against your former lawyer provided, the underlying medical malpractice case meets our criteria). (1) Getting to know you. Our first meeting will probably take up to an hour. We will thoroughly question you, and examine whatever records you have, to gather all available evidence and leads to evidence. We will also get to know each other and decide whether we want to work together on your case. If we agree to work together, we will both sign our retainer agreement. (2) Gathering records. Your medical records are extremely important and will play a big role in proving the “value” of your case. Since we need to be sure we get ALL the records, we will have you sign authorizations allowing us to write directly to each of your medical providers, who will then send us all your records. From time to time, we will write them to get updates. We will similarly gather any records of your past income should you be claiming lost income. Relax: gathering records is all on us. All you have to do is sign the authorizations. (3) Getting our ducks lined up. We will also write to all the relevant insurance carriers, defendants, etc. We may also take statements from witnesses. This will ensure we have everything in place for when we eventually make a settlement demand. (4) Waiting. Yes, that’s right. The next step is usually just waiting. Waiting for what? For you to heal. We can’t make a settlement demand until we know the extent of your injury, and whether you will have a permanent loss, and if so, how severe that loss will be. If we settle before we know the permanent consequences, then we will sell you short. The insurance company will not pay for permanent injuries as long as you are still treating and there is a chance you will completely heal. The wait may be for months or even a year or longer, depending on the injury. (5) Settlement. Once you are done treating, all the lawyers (yes all of us!) will study your file, your medical records, etc., and together we will decide – based on our experience in the courtroom -- what a fair settlement should be. We will then call you back to our office to meet with you and discuss our recommendation. You can accept or reject our recommendation. If you accept it, we will then try to settle the case for MORE or at least as much as we have agreed would be fair. But if the insurance company offers less than the number we agreed on, and negotiations fail to bring them up to our number, we will help you decide whether we should “take them to court” or simply take the last best offer. The decision is always yours, but we provide you will all the information you need to make an informed decision. We have helped many people just like you get their lives back in order after suffering serious injuries. For example, June suffered serious injuries as a result of a “botched” brain surgery. She was rendered paralyzed on one side of her body. Although the surgeon was extremely knowledgeable and skilled, we were able to discover that the brain hemorrhage that caused June’s paralysis was experienced as a direct result of a malfunctioning surgical device designed to advance a tiny probe into her brain. The surgeons noted that they were not getting the “expected readings” and found that a small screw was leaking distilled water which was used hydraulically to drive the unit. We brought a claim against the hospital whose clinical engineering department was responsible for the set up and maintenance of the surgical equipment. We won liability on a motion before the court and successfully defended the appeal of the Judge’s decision. Despite this, the hospital took the damages case to trial arguing that most of the serious issues that June was experiencing were due to the advancing underlying disease (Parkinson’s) that she was treated for with the initial surgery. After a hard fought trial we obtained a seven figure verdict which was unsuccessfully appealed by the hospital. Please note that past case results are no guarantee of future successes. Each case is different. We have just described one of the cases that we have brought to a successful conclusion just to give you an idea of the kind of medical cases we handle. Our team is standing by to help you too. As a matter of fact we look forward to your call and the chance to serve you as we have served others in our community. While we certainly can’t guarantee any results, we may be the right law firm for you. The best way to find out is by calling us at 315-253-3293 to arrange a free consultation.